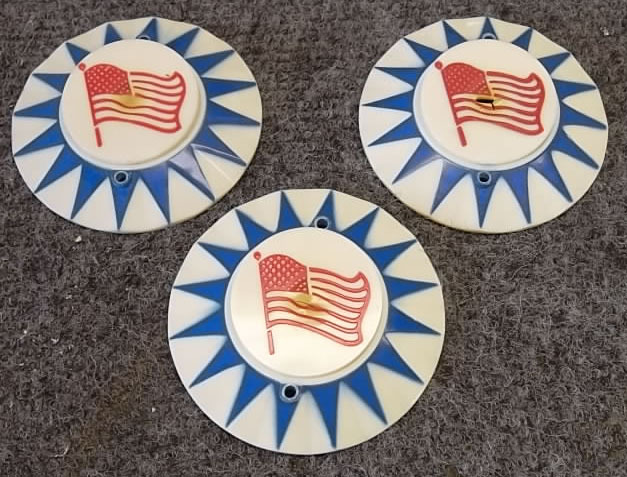 3-piece set of bumper caps from Bally Six Million Dollar Man pinball. Used caps in fair condition- some heat marks and cracks from light bulb heat from underside. Sold as a set.